On 25 October 2018 Butcher J handed down judgment in Rotam Agrochemical Company Limited & Anor v GAT Microencapsulation  EWHC 2765. Rotam had initially sought damages of approximately US$16.4 million from GAT. The claim arose out of discussions in relation to the potential exploitation of GAT’s patented microencapsulation technology for Clomazone and its registration as a plant protection product in Europe. Rotam alleged that GAT had breached two contracts entered into in the course of those discussions. GAT denied that there were any such contracts. Accordingly, GAT maintained that it was free to walk away from those discussions in late 2012 following its discovery that had filed certain patents without informing GAT. Rotam filed a claim form in July 2015 in the English High Court. This was then served on GAT in Austria in early 2016. The case finally came on for a trial that extended over 4 weeks in July 2018. The factual complexity of the case and the numerous legal arguments raised was reflected in pleadings that totalled in excess of 200 pages. However, the key issue in the case was whether a binding oral contract was concluded at a meeting on 30 August 2010, and (as the judge recorded in his judgment) this was the subject of the bulk of the evidence and argument at the trial. In his detailed 49 page judgment, the judge rejected Rotam’s arguments that there had been any August 2010 agreement. He also rejected Rotam’s claim that GAT was bound by the terms of a different written but unsigned agreement subsequently prepared in August 2012. As a consequence, Rotam’s multimillion dollar claim failed. But the judge did order the return of €292,000 paid to GAT on the grounds of unjust enrichment. This led Rotam to argue that it was the winner in the litigation, even though the sums awarded amounted to only 2% of that initially claimed. The judge also rejected Rotam’s contention that GAT should be penalised for not having made a part 36 or “calderbank offer”. Important here was that the unjust enrichment claim was only properly advanced a year into the litigation, by which time already very substantial legal costs had been incurred. GAT as the winning party was entitled to at least a portion of its legal costs and the judge made an order for interim payment on the basis that GAT was entitled to at least £500,000 in respect of those costs. The successful GAT legal team at Waterfront was led by partner Matthew Harris, who was assisted at various times throughout the litigation by Matthew Siddaway, Lucy Marlow and Matthew Akehurst. Counsel for GAT were Hugo Cuddigan QC and Chris Aikens both of 11 South Square. Do you need our help? Waterfront have a wealth of experience in patent litigation and other intellectual property matters. Discuss your concerns with us for more information. Matthew currently sits on the Law Society’s Intellectual Property Law Committee, where he has for example led the Law Society’s discussions with the Law Commission on the proposed IP Threats Bill. 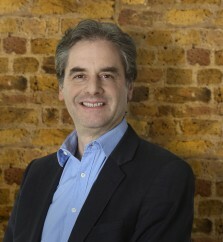 His work in the field of domain name law included a recent WIPO decision that led to an exposé article in the Sunday Telegraph on 16 November 2017 and calls by the Chairman of the Digital, Culture and Sport Select Committee of the House of Commons for an urgent review into changes in the law. Read More.